Update: There is a newer post you might want to check out; please take a look at the best cryptocurrency investments for 2018! Last December I published an article on Cryptorials about the ‘best altcoin investments for 2016’. It turned out to be one of the more popular articles of the year (and potentially very profitable for anybody who read it too), so I decided to repeat it with an updated article for 2017. The only difference is that in order to broaden the scope and avoid controversy about what is and isn’t an ‘altcoin’ I have tweaked the topic, so instead of writing about the best altcoin investments I am writing about the best cryptocurrency investments. As with my selection from last year, these are all medium to long term picks which I expect to perform well over the course of the next 12 months. They are what I would consider investments rather than short term trades. The selections were made through a combination of fundamental analysis of each network’s current and potential value, consideration of established price trends, and anticipation of future developments, releases and general market conditions and their likely impact. It is important to note that I am not a trained financial advisor and this should not be considered financial advice. I have been involved in cryptocurrency for several years, running this blog for almost 2 years, and I am an active trader and investor who has made a good profit in the past. But I can in no way guarantee that these investments will be profitable – there is always a significant risk with and investments and especially with such volatile markets and bleeding edge technology. OK, so this is the other reason why I decided not to make this a list of ‘altcoins’. I really think that Bitcoin may turn out to be one of the best cryptocurrency investments of 2017. Not only do I think there is an excellent chance that the price will go over $1000 at least by the end of the year and potentially a lot higher, but crucially I think the chances of it dropping below ~$550 are relatively slim. Although some lower market cap coins and tokens may well outperform BTC as they have more room to grow, the risk reward ratio for Bitcoin is looking very nice right now, and you can always increase your profits further by holding your coins in interest bearing bitcoin accounts. Anybody holding alternative tokens or coins needs to take this into consideration and decide whether the risk is worth it when compared to a Bitcoin value in what looks to be a robust bull trend. After a great deal of hype, many people got burned with the launch of Zcash. Unrealistic expectations, and I suspect a misunderstanding on the part of many traders as to the effects of low coins supply in the early days and how this would change over time, lead to the price of Zcash coins soaring to orders of magnitude higher than a Bitcoin immediately after launch (despite an identical maximum supply), followed by a massive crash in which some people must have lost a lot of money. But despite this, the potential of zerocoin technology is significant. There is little argument that it is the best privacy tech for blockchains, and there is a big market for enhanced privacy in cryptocurrency. At some point the price of Zcash will bottom out, and I suspect that it will be soon. It may even happen around the $50 mark that its hovering above at the moment, as it has already bounced from this price range once. When a solid floor is established and some confidence returns to the market, I can see this one doing well. But even more interesting from my perspective is Zcash’s little cousin Zcoin. Based on the same technology but with a slightly different approach, Zcoin is currently valued at less than 1% of Zcash. This gives plenty of room for very significant appreciation over the next year. Without going into too much detail, the main difference is that Zcoin conceals every part of a transaction except the amount sent, whereas Zcash conceals everything. This means the privacy protection for ZCoin is not as complete, but it does reduce the risk associated with the ‘trusted set up’ which ZCash suffers from and which could allow an attacker who has compromised the set up parameters to create as many coins as they want for themselves without anybody knowing. The Zcoin team are also working on a new mining algorithm to allow mining using an ordinary CPU while at the same time combating the problem of the botnets controlled by hackers which usually end up dominating CPU mined coins. This may be a controversial choice to some people, but I really think Dash could have a great year in 2017. Although the price has fallen back somewhat from a high in mid-summer, the YTD chart still looks great for Dash, and with a big upgrade called ‘evolution’ set for release at some point in 2017 there are good reasons to be bullish. Evolution will bring a range of new features that will make use of the second-tier ‘masternode’ network that Dash is known for to do things that coins without these masternodes cannot do. Perhaps the most significant is also the most simple in appearance: users will be able to create accounts and log in to their wallet from any device with an username and password, without sacrificing decentralization by trusting their coins to a third party wallet. The Dash governance system, although controversial in that it is dominated by a small number of large ‘whales’ who control most of the coins, seems to me to be proving itself effective in funding both core development, broader ecosystem development, and even marketing. This funding could end up being a great help in capitalizing on any increased attention from the Evolution release, and ultimately in reaching out to more mainstream users. Perhaps the most long-awaited project in cryptocurrency today, Maidsafe is a grand and ambitious project to decentralized the internet. The maidsafecoin price has been flagging in recent months. I believe this is because investors are growing weary of the long wait and don’t want to miss out on gains from Bitcoin’s bull trend. But this may well end up making the surge when (or perhaps I should say if) it is finally released even more dramatic. There are lots of projects now trying to decentralize content publishing and hosting, but with a development history going back to before Bitcoin was even invented (only later modified to include cryptocurrency style rewards using ‘safecoin’) Maidsafe is arguably the mother of them all. Despite the slow progress, development is continuing and an alpha release which shows the core features but without Safecoin rewards and with no guarantee of data permanence does give one a real feeling of the potential that this project has. What’s more, the long wait is largely because the team have taken on such a massive task and are intent on making sure it works very well before releasing it (something many crytocurrency projects don’t do) so I expect the eventual release to be very exciting. I also think there is a very good chance it will happen at some point in 2017, and that if it is then it will prove to be one of the best investments of the year. Following a successful crowdsale and release in Q3 2016, Antshares has a current marketcap of just over $7 million at the time of publishing. In many ways it can be characterized as a Chinese take on the Ethereum network. Although I don’t expect Antshares to rival Ethereum in value, the size of the Chinese market and the considerable success that the Antshares team has had in developing partnerships in the short time since it was launched – which already include Alibaba (one of the biggest multinationals in the world) as well as several other interesting deals – makes me think that there is plenty of room to grow. The Syscoin project is building a decentralized marketplace, and has been under active development since 2014 despite the development team losing most of their funding to the fraud and then bankruptcy of the exchange operator which ran the escrow for their crowdsale. In many ways the Syscoin marketplace is similar to Open Bazaar, but operating over its own blockchain. In my view, this brings significant advantages over Open Bazzar, such as the ability for users to post offers without having to keep their computer online the whole time for the offer to remain valid. Shoppers can pay using Bitcoin, or even Zcash for privacy, as well as using the native Syscoin tokens. A big release expected early in 2017 will bring the introduction of ‘blockmarket’, a white label store front that will enable anybody to create a web-based front end to the marketplace. I can see this being a strong driver of new users and with a current marketcap of under $4 million USD a successful release and influx of new users could easily see this proving to be a really great investment. Personally, I see this as being somewhat higher risk than my other selections, as Open Bazzar has a strong brand name within the cryptocurrency community and reaching out beyond that community will be difficult (I think possible with blockmarket, but undoubtedly difficult) but I also see it has having higher potential profits if things do go well. Zcash will almost certainly prove to be one of the worst investments of 2017. I think zash will be a top tier currency and buying it in the 50 dollar range will make many investors a solid if not explosive return. CHECK BACK in 12.2017 and we shall see who was right. Woow very good and serious article. Ethereum has more features than bitcoin if you compare it. But i would invest in Altcoins like Ethereum and Dash, cause its faster and can scale better. Look, every Blockchain will be huge and will have problems (Blocksize Limit 1MB) of scaling, cause ITS A BLOCKCHAINS nature. So in Ethereum i like the possibility of having a software which can run on it. So these smart contracts are genius. But better to compare the Altcoins and then take an investment on one of these Markets like Poloniex, Kraken etc. Compare 🙌🏼it wisely on http://www.bestcryptoexchan… and have a look what are the fees for Wiretransfer etc. I did buy some Ethereum and came also to a site where in can use a Trading Bot on it combined with Poloniex API. Its really funny to see how your money grows while youre sleeping and your 🤖💰tiny bot http://bit.ly/tradingbot is working. ☝🏽But use it at your own risk or have fun developing your own bot which is trading ethereum. What do you think about NEM (XEM)??? In 2015 NEM had good investment. Look at the price of NEM now! At the time of this article it was on third of a cent each. Now at 7.5 cents each. That’s over 20x growth. Yes, that is definitely a problem for ZCash, which is one of the reasons I included ZCoin. It is important to note that this article is not intended to be a complete list of every coin or project which has potential and could do well, just my own opinion of what the top few will be. If Litecoin gets Segwit then Lightning and Bitcoin doesn’t it will soar, if not then I reckon it will probably drop back a bit. Haven’t followed Ripple closely enough recently to have an informed opinion on it. Then tell me in which coin I hv to invest.. Yes edinar verry good.best mining coin 55% in mounth. I made a lot of money with those 2016 predictions. Eth went through the roof from where it was this time last year, I sold my RBR for well over 10x profit, Augur is doing well. The man (JP Morgan, Microsoft) begs to differ. My renewed faith in ETH is the banking industry. I was lucky enough to be privee to a report released by a few powerful investors, and was amazed when I saw the ETH Alliance, because Ripple has the majority hold when it comes to banking..
what about onecoin? on its site, it claims to be in the top 3 cryptocurrencies. what do you think Dean? One coin not scam..Its future of crypto currency..April 2018 it will become in open market.. True Dean, Onecoin is a scam. Thanks so much for sharing these promising investments! Cryptocurrency is a very interesting industry! 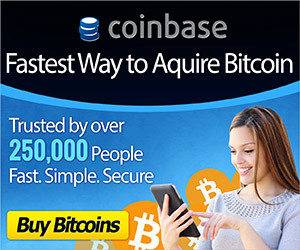 I had no idea that there were popular ones aside from Bitcoin! They bring a new meaning to internet banking! I think Dogecoin is a bit of fun, and if you’re considering it as an investment you’ve kind of missed the point in it. But, I think the fun is what could cause a large gain in the future. For instance, more crypto adoption and people wanting to have “much coin, such volme” and willing to spend a dollar or two to get it. ETH missing is curious, why Dean? I think Eth could do well, but I just didn’t feel confident enough that it would be one of the top performers. Partly that’s because it already has a strong valuation and actual usage needs to catch up to that, but it may also be partly just due to the fact that I haven’t found any analysis that I’m confident in to predict the price so I’m not sure what will happen. Thanks for this insight. What platform would be the best to buy these altcoin listed above. I have bitcoin already. Thank Dean for this insight. where can one buy this altcoins you listed. I have some bitcoin already. Expecting to hear from you soon. Has anybody heard of Leocoin? If so what is your opinion about? What do you guys think of the billion coin tbc? What do you guys think of leocoin? I Started invested in ilcoin(ILC) … many haters said that Ilgamos (company name) is a ponzi scheme… this month ilcoin enter the market when the “WANNASAVE” platform is ready. On the platform you can find hundreds of merchants that approved buying with ILC. I took of my investment in 1-2 months and now I make some money from commissions and I “mine” now a lot of coins. With coins I made you can buy gold and send it home… with 25% of ilcoins I bought gold as a backup plan. NOW is the time… those who want to join Ilgamos business contact me. I will help you understand everything and I will support you. It’s a currency controlled by corporation, but they will extend a coin better than we(smaller group) can do it. I’ve invested in Safecoin, Potcoin and Monero long time ago and i made good money, very good money especialy with Monero. I didn’t have any knowledge about altcoins and i still don’t, i just buy as crypto’s are still at the very beginning of something big imo and i buy coins just with trusting my gut feelings and using some comon sense what i think all of you can. For 2017, more and more people get notice of crypto’s, i would say don’t worry about what you buy for the long term ( 1 to 5 years ) beacause the common public will join and that’s where the money is for us. When the big rush starts ( when media etc, start reaching the public 🙂 ), people will buy anything as they are greedy. Just get a good portfolio and wait, it will come, for sure. Hi, so in which crypto currency you suggest one should go for?I mean for an investment purpose. Hi, i am not sure if i am the right person to give you advise on investments because i am more of a gambler then an investor. Atm i am holding a fair amount of maidsafe and try to buy more everytime the price drops because i think that Maidsafe can be huge. I am a holder so i don’t sell any of them. Invested in PDC.. because it can be build an the safenetwork. All for the long term, 5 years or hopefully sooner. Anyone who claims to have a ‘sure way of becoming a billionaire’ is an obvious scammer; hopefully nobody reading this comments section is stupid enough to believe that. I haven’t looked into billion coin much, but based on the people promoting it like you I would say it must be a ponzi scam. I agree with you Dean, i wouldn’t buy any coin that promise you to be rich. That’s is just tactics to get people buying this s**t, people are greedy and they know this. Unfortunatly there are still too many stupid people in the world who believe in fairy tails. Guy pls give me a break with this whole TBC scam and hype. A currency that the market does not influence and its algorithm was programed to increase by about 2-5% daily, which was why it was delisted from coinmarketcap. Am a fellow Nigeria like you and am thinking how to begin a campaign against the widespread hype of TBC in Nigeria, because most ignorant Nigerians have invested seriously in it. Thank you for being a voice of reason. I hadn’t bothered to look into TBC because it just looked dodgy to me without going into details, so its good to get a comment from someone with some hard facts in relation to this. Thanks buddy. But when an expert like you gives a learner like me a thumbs up for a comment, I’ve no reason not to blush. By the way am in love with your blog contents. Count me a follower! what is your view of etc coins? We are living in a computer age, a digital world. The world is more and more data driven as everything is fast moving online. It is the right and a high time you should get a long or you personally choose to be left out to face obscurity because, that’s the future trend. Whether you like it or not, the fact remains that you cannot change it. So, it is necessary that you become part of this development before it too late. I have over 10k TBCs for sale. WhatsApp Mr Sylvester now +2348074609866. The best time to invest is now. Don’t forget about decred here! One of the most promising altcoin out there! does anyone know anything about xecoin? Why? Is it a mlm network? This guy knows what hes talking about , that damn Zargaberg making billions. Sir something about ONECOIN please…! Ok. It is a scam. Why you say onecoin is a scam just asking! Its a ponzi scheme sold using lies about massive returns which are impossible and controlled by a company who just wants to make money from naive ‘investors’. The promoters of Onecoin has some associated link with MMM (a well known Ponzi Scheme). Sir , what about Eth classic and Steem? Steem could do very well if they release new apps (which I think are in the works) and they are good, but its a risk. I find it hard to gauge Eth classic in terms of coin value so I can’t really comment, what’s your opinion on it? Hi Dean, Thanks for your insight for the coming year. I’m thinking of getting into mining, and wondered if you could tell me the best mining rig/set up I should buy to mine cryptocurrency with? I’ll have around £200.00 to spend. I can’t, sorry, I’ve only really done a small amount of mining just to try it so its not my area of expertise. But I can say that if you only have £200 then you won’t be mining Bitcoin because ASICs are quite expensive; you can probably get a GPU to mine something else. 200 isn’t much to do with. Better off buying the coin. Unless you plan on doing it as a hobby and care nothing for profit. ROI can be over a year for gpu mining. Its hobby only. Example 1 gpu mining ETH (most Profitable right now) could take 6 months to get money back and that doesn’t include diff changes in the block or prices drops. Could be a year or more. So from a miner who barely made his money back. Don’t do it for profit do it for fun. I’d have made 2-3 time as much if I just bought coin and waited. But I like doing it. Thanks namtr0. All the info I get just now is greatly appreciated. Can you give anything on that new spectrecoin XSPEC? I don’t know much about much about cryptocoins. I don’t know it. Just took a quick look at the website and it seems to have nothing new or different so I don’t understand what is the point of it and on that basis I don’t think it will do very well. Hey still trying to learn more about cryptocurrency. I just ran into this article and noticed you had zcash at 2 and i think it’s in the 30s. Would you say it’s a good time to buy or have you changed your opinion and if so are there any that have caught your attention recently that you would add? Thanks. I still think Zcash is a good buy, although it also could take a while before there is a significant increase in value. Thanks Dean for this article, I appreciate. First I am new to this and looking for a very cheap cryptocurrency to invest in and favorably cash out when it gets high. Like one making a kill from penny stocks, do you have any particular suggesrion? Secondly I heard about this Chinese LCF Coins, what’s your opinion on this lcf coins? My best suggestions are in the article! Also, I have not heard of LCF. Good luck! It can be crypto but it isnt yet. Hello,I would like to show you new cryptocurrency whitch can be the best investment this and next year.Minting will start march 31.The name of this coin is DasCoin.Now you can buy licence .DasCoin schould be on the stock market in the second half of the year.For more info why and other question feel free to contact me donifaciuk@gmail.com . These are some great suggestions for cryptos to invest in for 2017. Anyone still asking about OneCoin is a numpty and should read what Dean has said about it countless times. Unfortunately OneCoin plays on the gullible. As for other suggestions for 2017 I would like to add a few and see what you think. Factom – Has already had backing from the US government, the Bill & Melinda Gates foundation, etc. So it’s heading in the right direction already. The tech is incredible and will be a worthwhile long-term investment as the price will shoot up once the general public realise what Factom is. Ardor / NXT – Again, great tech offering something different and it’s those cryptos that offer something unique which will be the top players eventually. Blackcoin – Great tech but this is a bit more of a gamble. Golem – If they can pull it off soon then this will be incredible. Siacoin – Great idea and they’re not developing their tech around their target market which is enterprise so their focus won’t be diluted. Xecoin?????? Dean anything about it??? No, I don’t know much about it but what I have seen hasn’t given me enough reason to be interested in it for me to bother learning more. Ripple and Stellar are obviously a bad investment as they have a high interest in keeping the price stable. What is going to hapend with Dascoin when will be on stuck market?Das have smart contracts nad lauching DasPay. Haloo Dean.What you think about DasCoin now?Minting will start this friday march 31. Yes……so I noticed nothing was said about TheBillionCoin; could I please ask for someone’s perspective on it? TheBillionCoin (TBC)- is a digital currency that can be used for exchange, payment of bill, shopping and other things. TBC is just like your Nigeria Naira and USDollar or other currencies but in digital form. The world is going digital which everyone knows that cryptocurrency is what we are all to use soon though currently being used in some places now. The price officially changes by 1:00pm every day. TBC – TheBillionCoin is a long term crypto investment, that will eradicate poverty from the people. You are investing for a near future and not a monthly income business and it pays better. Do you remember that 1 Bitcoin (BTC) price was 1$ on 2009? Now its value is more than US$1000, If you purchased 100 BTC at 2009 then you could have 100,000$ or more. Did you miss the chance? No problem TBC is here. So why not grab the Chance? Since ten months completion, launch price was 0.001$ on 21st of March, 2016. At present, the price is 644USD/1TBC (315,560). Earn 4% to 5% daily growth. PRICE NEVER GOES DOWN. WHY WAIT FOR SO LONG, INVEST NOW..Can’t afford 1 TBC? You can still buy it’s fraction the so called Kringles. TBC is what it is. It does not need to be on any markets. It’s not the spirit of competition we are breeding within the TBC community, it’s the spirit of cooperation. TBC is right for everyone. Everyone is not right for TBC. BUY before its too late. Come join our community and let’s end POVERTY. I WILL SELL FOR YOU AT AFORDABLE PRICE! Hi,How much is the interest or increment for every month when i buy a LiteCoin??? There isn’t any interest, unless you do something like loaning it out on Poloniex. The Tux brand is inspired by a Tuxedo cat. Tux has no affiliation with any other cryptocurrency exchanges or services. I like the idea behind blocknet. I kind of stopped following it because the process of using it seemed slow and cumbersome and so it didn’t look too useful in practice, but that was ages ago and they may well have made improvements since then. Feel free to share your thoughts on it! Hi,Do you know anything about CryptoRecycler that will be Lunched soon??? Thank you Dean. Great Intuition. Any other interesting coins/projects to come? what about Wings? I like Wings, bought into their ICO. They seem to be focusing on forecasting stuff that I don’t think is that useful at the moment, but if they eventually get the full DAO creation thing going it will be good. Hi Dean, I follow your articles and they are a great source of information. Thanks for that. What do you think about DECRED as a long term investment? Syscoin and Antshares proved to be very active since the last “boom”. You can still invest in it purchasing license. After few years you can have millions, don’t miss that chance. Could you give me more clear informations about Dascoin? Could you please give me some information and your opinion on DASCOIN please?? Hi Dean any info in regards to DASCOIN please? Good or bad in your opinion mate?? BURSTCOIN is mined by using hard drive space. This is known as POC Mining Proof Of Capacity, also referred to as Proof Of Space. Anyone can mine BURST Coins by allocating the empty space on their hard drive or multiple drives for the mining procedure. This makes BURSTCOIN the most GREEN, environmentally friendly cryptocurrency to mine, using hardly any resourses and it bought and sold on major cryptocurrency trade exchanges thus providing great value to miners. @dean What do you think of Mcap ? Don’t know it. Got a link? I though they were overvalued a long time ago and they kept going up, so maybe I’m not the best person to ask because I was wrong then but personally I think sell and watch for a correction to buy back in. Dean, great article i just checked where each of these are right now and have to say you nailed it!! Any chance you could update this post as of which ones you would recommend as of today? or are your recommendations the same now as they were back in December? I am just getting started in crypto currency and want to know where i should put my money today. I would definitely still go with Syscoin and Dash. I think Maidsafe will definitely go up a lot with a successful launch, but there is still no indication when that might be after so long and its difficult to know if they’ll pull it off without a hitch, so I guess you have to have a lot of patience for that. Apart from those at the moment I would suggest taking a look at some of the upcoming ICOs – I just published an article about it which includes some of the best sources for analysis. Yea, Dean. I have watched Syscoin increase gradually and consistently. As for Dash, that one went haywire. All you predictions above have done well thus far, except for Bitshare that I cant tell since I didn’t look into it. I will love to pay for such service. I’ve been seriously considering doing that, but part of the problem for me is that I generally don’t trade short term. I usually hold for anything from a few months to years. For example, I think I picked Syscoin last year too and it didn’t do too great then, but this year it has beaten the market quite nicely even with the market as a whole going up – and I’m still holding most of mine for the moment. I wanted to do a monthly thing, but after spending a couple of months trying to put something together as a test for myself rather than to publish, I found myself padding it out with too much stuff I wasn’t very confident in just to fill space. Also, I’m looking at the possibility of things like Iconomi to allow me to manage a transparent portfolio which people can copy, which I think would be better than just writing articles or making videos. Anyway I’ll probably do something more than an annual post at some point and I’ll keep you guys updated as soon as I know what. Dean, good write up. Am a novice in the coins investment. My questions are two. 1. What is altcoin, is it different from bitcoin. and how do I trade in crypto. 2. I have heard a lot about Dascoin, do you know anything about it..
Hi Dean I’m only new at investing in cryptocurrency, was just hoping you could possibly she’d some light on DASCOIN please?? I don’t like it. I don’t really see the point of permissioned blockchains or the benefit of this ‘hybrid’ solution. To be honest I don’t see what’s ‘hybrid’ about it either, it looks like a standard permissioned ledger to me. I was just confused as to why they would mint 8.5 BILLION coins when bitcoin was only 21 million I believe?? Is it better to look for something with less coins minted?? They have informed me that they have a transaction speed of 6 seconds, and will also be excepted anywhere that excepts visa, Mastercard etc 50 million outlets world wide?? Being only extremely new at this I don’t want to be fed a heap of lies and loose my $$. I understand there is no such crystal ball to predict if an investment will pay off, I just want a fair fight when I decide which cryptocurrency I’m going to invest in. I think probably look for a different one yes. I have to say also though, if you are concerned about risks of losing your $ perhaps you should consider just holding Bitcoin? At the moment altcoins have been going up by a lot for so long and eating away at BTC dominance, but actually things are looking quite bright for BTC at the moment with a good chance for Segwit (and therefore scaling solutions which have been holding it back) so I think all altcoins are fairly risky at the moment (doesn’t mean they won’t keep going up more than Bitcoin, some surely will but its risky that some could lose a lot if this trend turns around). I mentioned in the original article that Bitcoin itself would be one of the best this year and that is proving correct already, but moving forward I think anyone who doesn’t want to take a big risk of losing in $ terms should probably hold bitcoin. There is an article somewhere on this blog about earning interest on your BTC if you want to improve your profits by taking some small extra risk. Good luck! Please give your opinions on feathercoin? Working for me. Thanks for sharing. please tell me about onecoin. Hi Dean, this is a fascinating article! I wonder what do you think about Publica.io – they are building a platform that aims to bring the publishing economy into the blockchain revolution. When will you be releasing a watch-list for 2018? Maybe November, maybe early December. Could you please review Raiblocks (XRB), Spectrecoin (XRB), Elastic (XEL) and Renos (RNS) before you release your next watch-list? I actually put a little btc into the elastic ICO a while back, and I’ve looked into Raiblocks. Not too familiar with the other too so I’ll take a look, thanks. FYI Raiblocks just had a coin burn in case you were unaware. Would you consider writing two articles i.e. one for best cryptocurrency investments 2018 and another for best ICO investments for 2018?